So, you want to how much is a pat of butter? If yes, continue reading this article and learn more about your favorite ingredient. In any cuisine, there is the fact that butter is known to be one of the most commonly used ingredients. But, aside from the idea that it is used in making almost cooking all types of food, this ingredient plays a great role in any baked dish too. 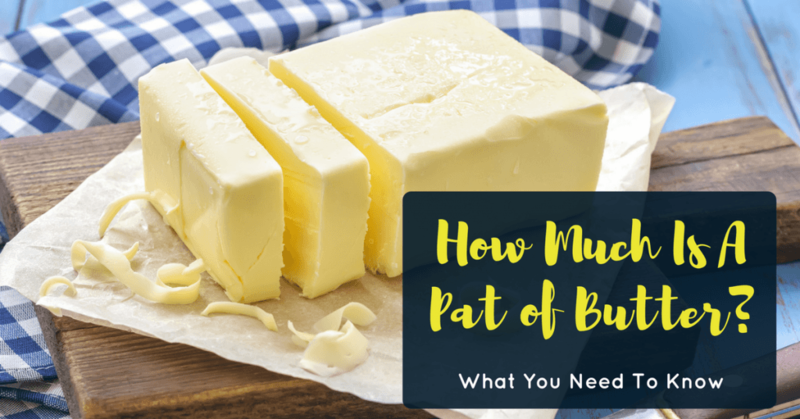 Here, you will learn the answer to the question “how much is a pat of butter” along with useful information about butter. Butter is known to be a very flexible ingredient. It is being used in enhancing the texture and flavor of certain dishes and could be effortlessly spreadable on toast so you could enjoy a creamy flavor too. It is not just used as well as an ingredient rather could also be used to grease your baking pans. Isn’t that great? And this ingredient is also available in many forms, such as cream, frozen and melted. Knowing that butter is a staple ingredient to the majority of dishes, it is also a permanent fixture in the pantry. Now, if a recipe asks for a pat of butter, you need how to measure one. Salted or Unsalted: Which One is Better? How Much is A Pat of Butter? ​Why Use a Pat of Butter? How to Make Pat of Butter? ​How About Making Decorative Butter Pats and Curls? Before you learn how much a pat of butter is, consider the idea of differentiating the salted and unsalted butter first. Butter is made once bacteria that contains lactic acid being mixed in with cream then churned. The said process is simple, and it could be done even at home. Yes, homemade butter is possible! Though it might be a bit icky, the result of the process is smooth, creamy and rich butter with a distinctive taste. These days, butter might be available in different flavors however there are two types traditionally – salted and unsalted. The former is named so since it has salt in it which helps in its preservation. This salted butter will provide the said ingredient different kind of flavor and known to be more commonly available in today’s market. Unsalted butter, on the other hand, is more natural and the texture and taste vary with the breed of cow and also the feeds that were used for the animal. Both of them could be used interchangeably in some other forms of cooking, but in general, the unsalted one is preferred in baking. Why? Well, the amount of salt varies in each bucket of butter though it’s from the same brand. And knowing that baking needs a lot of precision, getting the desired flavor might be hindered if you can’t manage the saltiness in the dish. And now, for the answer to the question “how much is a pat of butter” take note it on this part. Pat is known to be a form of measurement which was used a long time ago during the moment that the butter was sold in cardboard boxes. The slabs of butter were divided by and then packed in the cardboard boxes which only covered the bottom and top part. In this case, the sides of the butter were left open to air the butter. It was also covered using a translucent white paper. And back then, the pat was perhaps more than the modern day imitative of the said measurement. So today, a pat of butter would refer to 1 tablespoon or 1 ½ teaspoonful of butter. And this is the same amount that is packed in the small rectangular foiled packaging that is given by most airplanes and hotels. In some cases, butter is also packaged in little plastic cups with foil covers. Besides, a single pat of butter offers 36 calories, 0.04 grams of protein and 4.06 grams fat. And this breaks down to almost 99% fat and a percentage of protein. 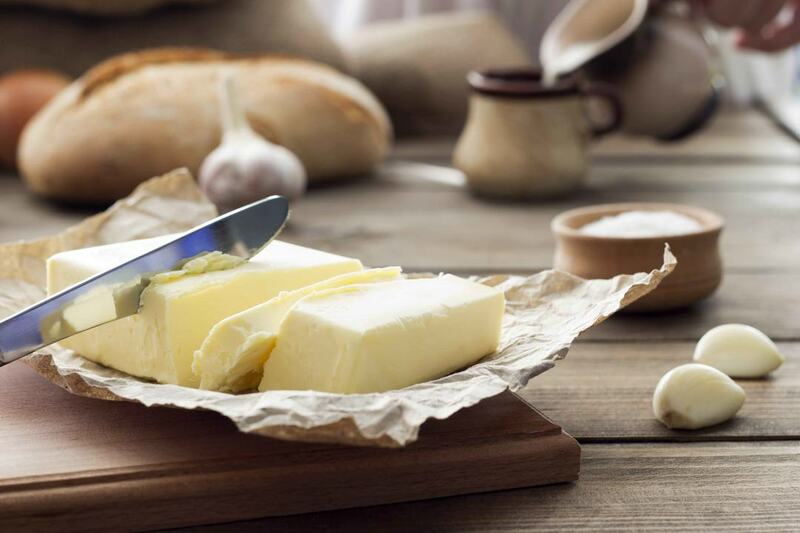 Indeed, a pat of butter is an excellent way to make sure that you limit calories intake once using butter. And since a pat of butter is readily available in separate packages, you could get your hands on it from the nearby store and so never fear about consuming too much of the said item. Along with that, using butter in such measurement is beneficial concerning its longevity and storage. Even if butter doesn’t go bad if refrigerated, it also absorbs flavors. So, this would mean that there is a need to make sure you cover the butter properly as you place it in the fridge. Otherwise, it might take on the flavor of other food items inside. These worries are eliminated if you will only buy and use a pat of butter. Indeed, butter might be one of the most delicious as well as creamy ingredients you might ever consider. But, take note that it is also an unhealthy option particularly if utilized in large quantities. 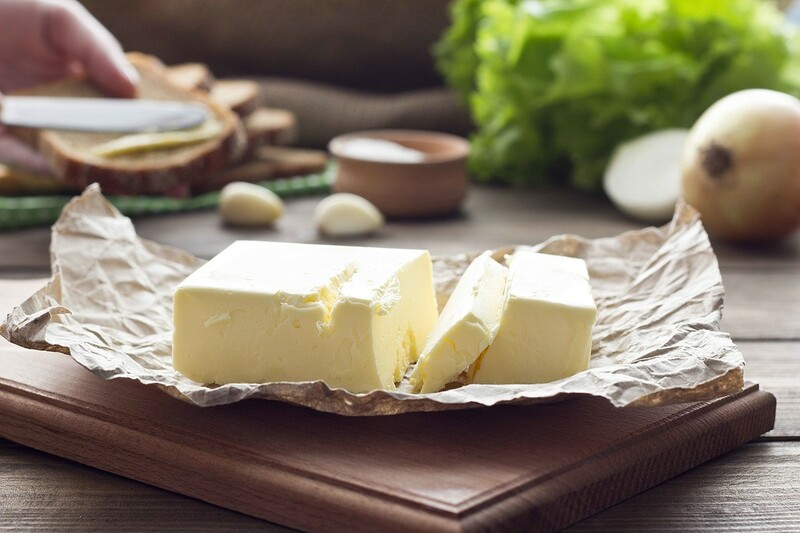 Known to be made from the milk of cow, butter offers 17% water, 80% fat and 4% milk solids. 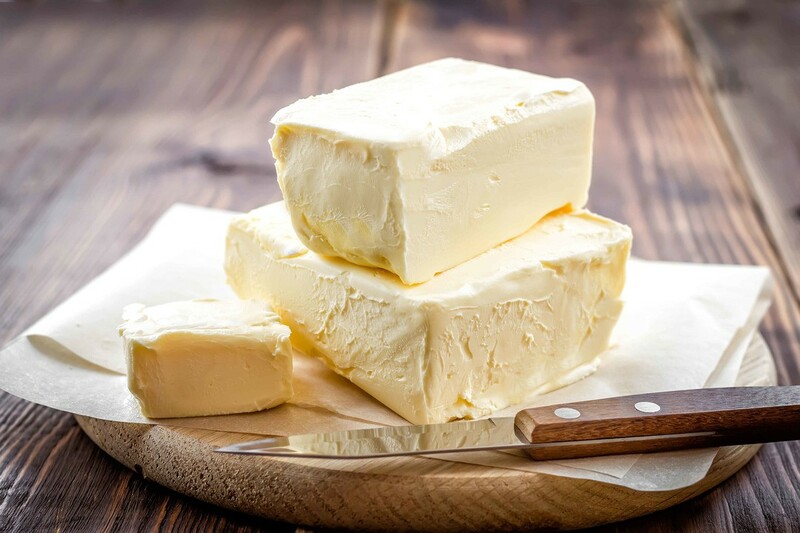 This fat makes the butter delicious and creamy, but it is as well largely saturated fat meaning it is not the best in terms of one’s health. Also, a single stick of the butter would have more than 820 calories. It is indeed high in cholesterol. But, you should take note as well that not everything in the butter is bad. Why? In fact, it is an ideal source of Vitamins B12, D, B, K2 and A. 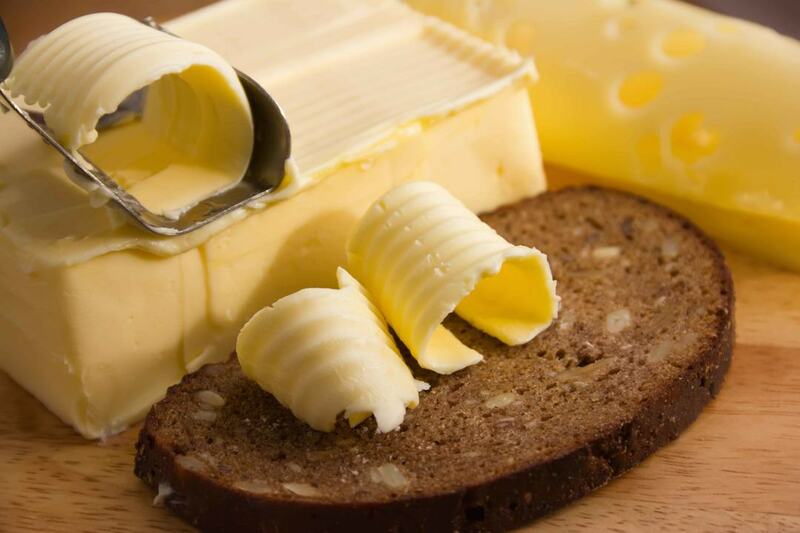 You need to consider butter in moderate amounts along with a healthy diet for it to good for your health. If in a case that you haven’t bought a ready pat of butter, you can still make one. Butter pats are known to be a decorative way in order to impress your loved ones too. Simply follow certain techniques on how to make a pat of butter. Soften the butter by keeping it outside the fridge for around an hour. With the use of a knife, spread the butter in the candy mold. You have to flip the mold over ensuring that the butter is filling the mold. And put in the freezer. If already firm, pop the butter out from the molds. Put on the cookie sheets in between the wax paper, so they do not stick with one another and put them back in the refrigerator. There you have it! Making a pat of butter is as easy as that! So, you don’t have to worry about how much is a pat of butter if a recipe calls for one. If you are making butter pats and curls, it is crucial that you begin with a firm or cool stick of butter which has been at room temperature for only a few minutes. There is a need for it to cold enough to hold its shape, but once it is too cold, the curls would break or fall apart once peeling. Begin with a stick of butter which has been at a room temp for a few minutes but is still firm and cold. Then, heat the butter curler in a very hot water and pull it firmly over the stick of the butter as for forming the curls. As needed, reheat your butter curler. And finally, to create pleasant looking pats of butter, you have to merely pre-cut the solid stick of the butter using a hot knife. You might be overwhelmed with the fact that butter is the most delightful staple you have in your pantry. But, always take note that too much of it might be harmful to one’s health as well. With that, you need to know how much is a pat of butter since using it a day could be good and enough to satisfy one’s cravings. And also, the plastic packaging of the pat of butter is easy to store and you might as well carry them even during a picnic. Don’t you like that? And it is also a great addition to your diet. Watch this to know more about butter pats. Please leave your suggestions or questions in the comments section below. We will be very pleased to hear your thoughts! Thank you!